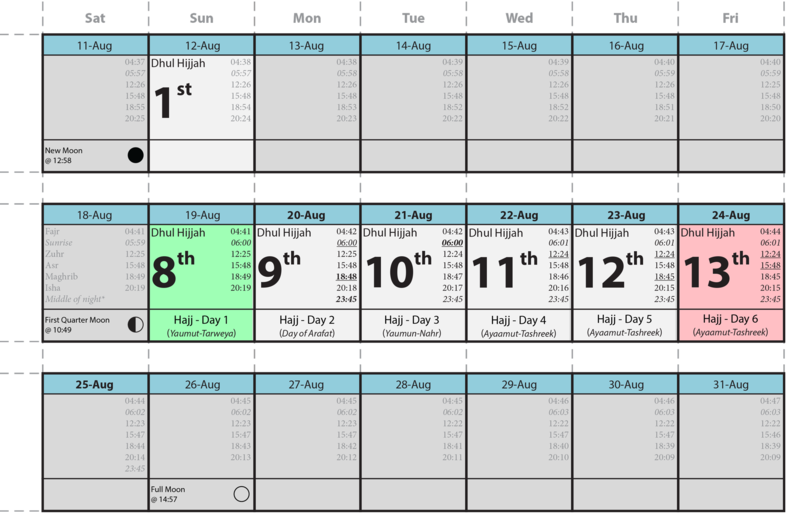 Note: These dates have now been confirmed by the authorities in Saudi Arabia – see reference below. Note: The dates above have been not yet been confirmed by the authorities in Saudi Arabia. 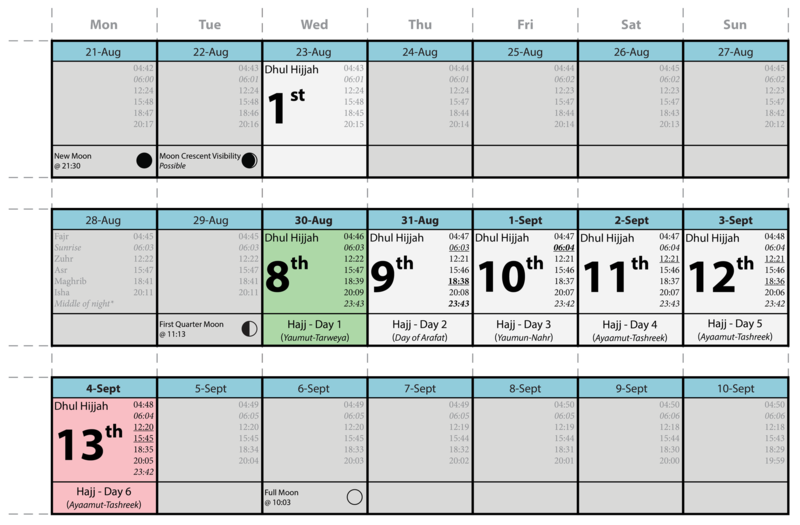 These dates are based on calculations – please check closer to time for confirmed dates.